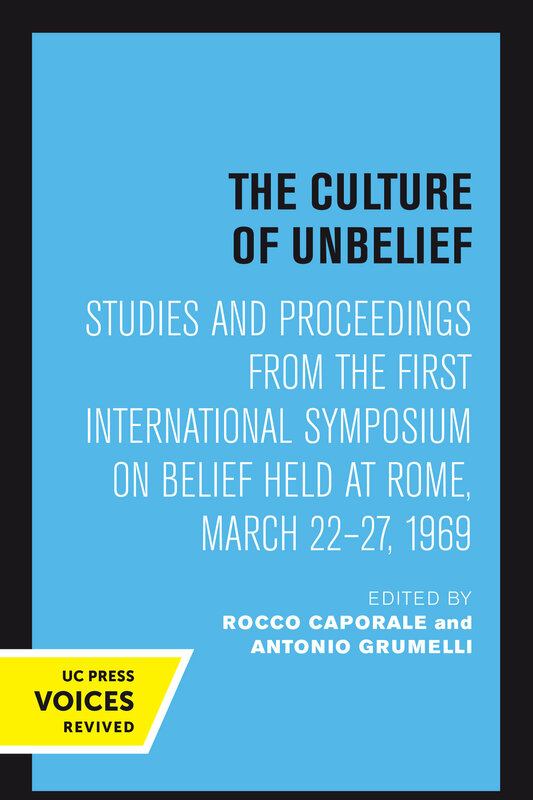 This volume presents to the general public the reflections of a group of social scientists and theologians who gathered in the spring of 1969 in Rome to explore “The Culture of Unbelief,” and who have subsequently continued their interest in the subject. 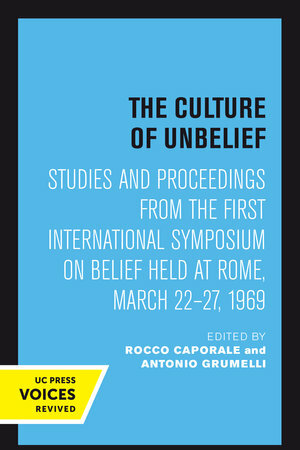 The book departs in places from the actual order of events of the symposium to accommodate papers prepared explicitly for publication after the symposium was over.—from the Editors’ Preface This title is part of UC Press's Voices Revived program, which commemorates University of California Press’s mission to seek out and cultivate the brightest minds and give them voice, reach, and impact. Drawing on a backlist dating to 1893, Voices Revived makes high-quality, peer-reviewed scholarship accessible once again using print-on-demand technology. This title was originally published in 1971. Rocco Caporale was Professor Emeritus in the Department of Sociology and Anthropology at St. John’s University. Antonio Grumelli was Professor of Sociology at Pontificia Università Urbaniana.